Legendary film maker Ram Gopal Varma’s stature has been built on movies where the antagonist is glorified. Shiva, Satya, Company are essentially the best trilogy of world cinema, in my books. The trilogy also showcases the three levels of anti socials – city level gangsters (Shiva) to organised crime in conjunction with politicians (Satya) to international mafia (Company). RGV’s Killing Veerappan deals with (a rare breed of) terrain based dacoits (Veerappan is basically the Chambal king of the South). However, this gem of a flick deals with the Special Task Force’s relentless efforts in face of adversity than showcasing grandiose of the antagonist. After a decade plus of struggling to match his standards – his last worth-the-gold product was Sarkar, although he has redefined the commercial horror genre in between – RGV is back with a bang. When I started watching Killing Veerappan, awed by the camera angles, the jungle density, that extremely big log of a tree and the sandalwood smuggler foiling every attempt made to capture him, I was wondering if a star studded cast could have got this movie into 100 cr revenue bracket. 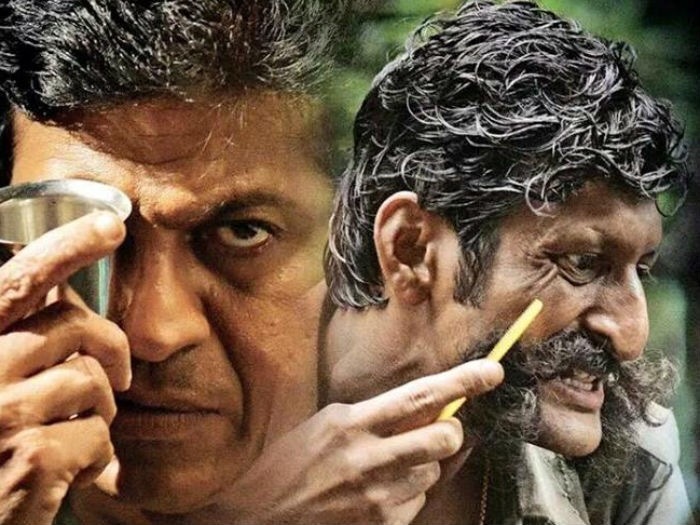 Actors Prakash Raj as STF chief, Suriya as his right hand and Sudeep as Veerappan would have been my choice and their performances would have substantially enhanced the film too. However, deep into the movie, all these thoughts vanished as I realised anyone and everyone coming up to or posing in front of Veerappan’s psychic personality remained fragile to living alive. It’s where you give a big ‘take-a-bow’ to the then Superintendent of Police Shri N. K. Senthamarai Kannan and his persistent efforts (formally called Operation Cocoon) in catching a wild beast who was always steps ahead. RGV has given a massive tribute to STF and for this alone the movie is worth your ticket money, time and more. The nation owes a lot to this bunch of unselfish unknown heroes. Killing Veerappan isn’t clear of flaws or illogic. The commoner Shreya (Parul Yadav stands up amongst the cast, with shades of Kareena Kapoor) meeting the police so often in the forests, suddenly wielding a gun with STF, the STF camping often there with bonfires at night, STF never really shown discussing technicalities on ways to beat the jungle or the enemy plans (something which Baahubali invested well into) or the routine ounces of melodrama. STF lead Shiva Rajkumar is good and he does ‘take it personally’ – remember his dad Rajkumar kidnapping – but this role needed a Prakash Raj in lead. However, just when you question any of the flaws, RGV grips you with impending action and appreciation for the team at work. RGV’s penchant for awkward camera angles works here to enhance the eeriness of the jungle, although, at times, the excesses do bother. Veerappan almost always has a selfie camera positioned on him. That aside, the lush green forest is captured excellently so too the unwanted inhabitants’ mannerism – notice how an informer doesn’t even bother getting scared of a large rattlesnake crossing his path. RGV’s expertise in this domain was already seen in his 1999 release Jungle – another Veerappan inspired tourist capture and escape story. There’s a welcome role for comedian Navin Prabhakar – Pehchaan Kaun – too. Veerappan does escape death multiple times in this 2016 flick. Each time a well-executed plan (the sandalwood delivery plan, the jungle lodge plan, the arms delivery plan etc) comes within inches of success, the jungle dacoit’s gut instinct saves him the day. Those scenes are nerve wracking. And despite setback after setback, failure after failure, corpses after corpses, the STF refuse to give up. This would be the story of every army unit, every successful sports unit or corporate team – that even in defeat, they see the little progress they are making, get stronger to hit back harder. RGV sure has hit hard. And here’s hoping he has another successful decade left in him. The movie maniac world needs more of the best of him! I feel that RGV has lost his magic touch , something akin to the experience that Dev Saheb had with his movies in the last stage of his life . All his “horror” movies , RGV ke Sholay and subsequent editions of “Sarkar” crashed at the Box Office . 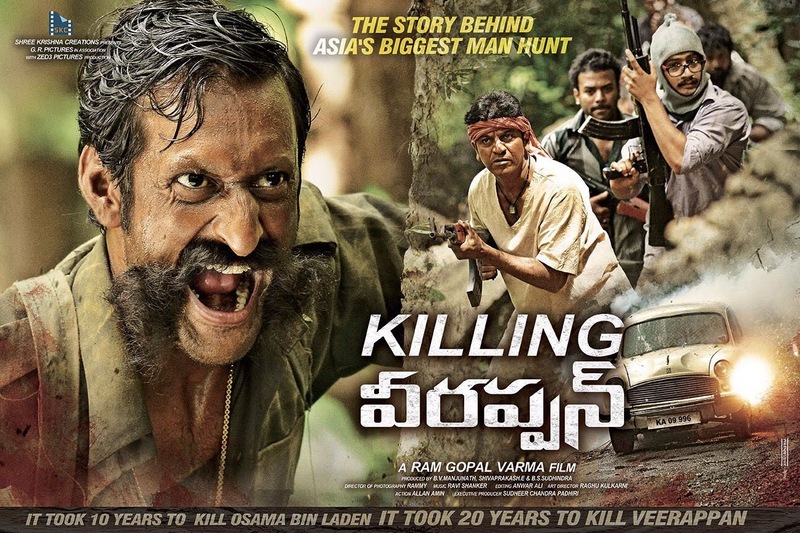 Referring specifically to this movie – Killing Veerappan [ Tamil version ? ] , I had the opportunity to read the hair raising and spine chilling novel authored by the senior IPS Tamilnadu cadre Officer who headed the joint 2 States STF and finally tracked down the sandalwood smuggler and killed him while he was moving about in a made up Ambulance . I believe that Veerappan was able to evade the security forces for such a long time was due to a variety of factors – inter police-STF and inter-STF jealousy and lack of coordination being one side of it , and perhaps a wide range of informers who got him out of trouble by tipping him off at the last moment and his knowledge of the vast jungle terrain spread in 3 states on the other . Somehow, I missed seeing it while it was released in the theatres last year , but perhaps I can still find it on You Tube . Regardless , kudos Avijit for penning down a great review .